Content & Brand Management Made Easy. Open Enterprise™ leverages the power of Drupal CMS and simplifies its user interface to make creating and managing content simple and fast. Best of all, your content automatically adapts to desktop and mobile devices for an optimal user experience. Managing pages has never been easier. Create new pages or search, find and edit existing pages within your website. 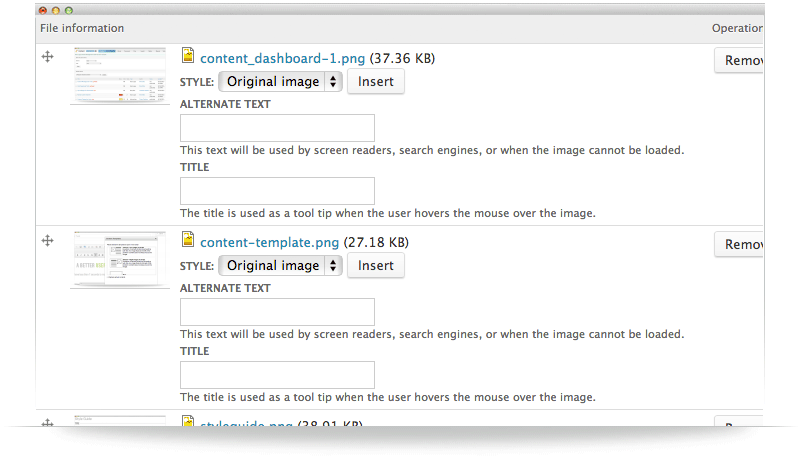 Extends Drupal's basic filtering system to search through content by type, author, or words contained in the document. On-page edit tabs make it simple to find and edit. Filter content by type, status, date and more. Add our analytics package and dig deep with page scoring, entrance stats and user views. No coding needed. Select and apply mobile-friendly, pre-configured layouts to any page on your site. 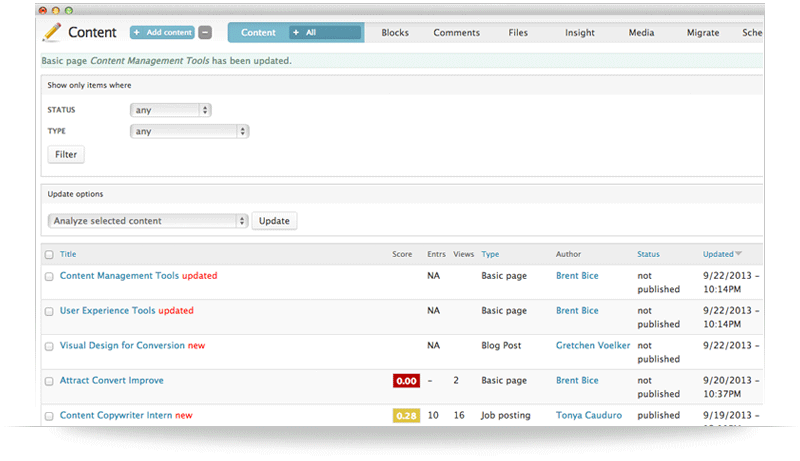 The new CKEditor is configured with Bootstrap so what you see is truly what you get. Expander widget allows you to maximize your page view and productivity. 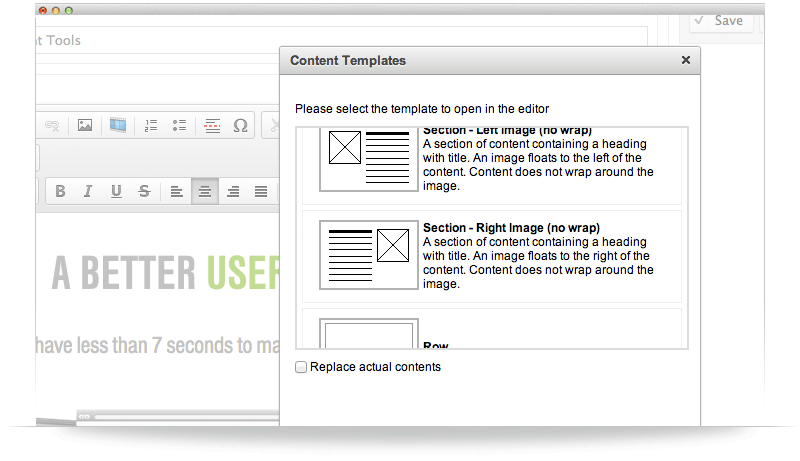 10+ pre-configured content templates are built into the editor. No need for CSS or HTML knowledge. Completely custom page layouts are now at your fingertips. Mix and match for added flexibility. Each site comes with a pre-designed style guide created specifically for your website. Never lose track of styles again. 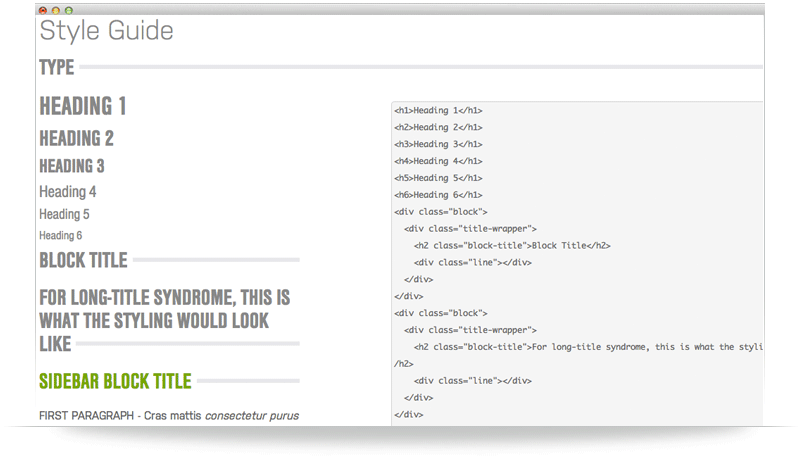 Structured style guide built into your site to ensure your branding remains consistent throughout the website. No matter who is working on your website. Defined classes applied automatically as you format text through the content editor. Manage images and files with gusto. File upload fields allow you to quickly upload images and files directly to your page. Quick insert option places the images on your page. All images respond to mobile devices so they resize automatically to match your device.